Clean, casual lines and technical Alpenex» fleece performance combine in a fleece vest with wool sweater styling. 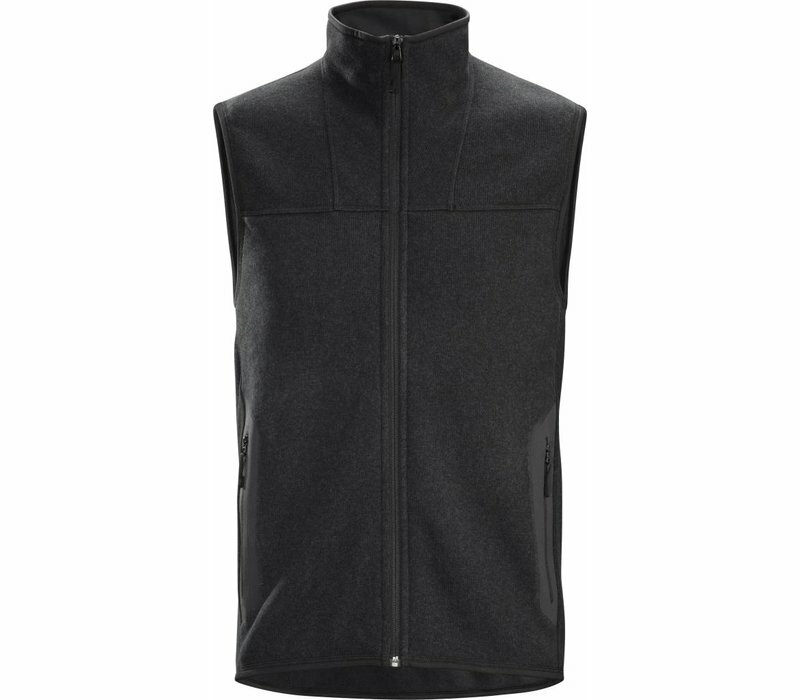 Clean, casual lines and technical Alpenex fleece performance combine in a fleece vest with wool sweater styling. 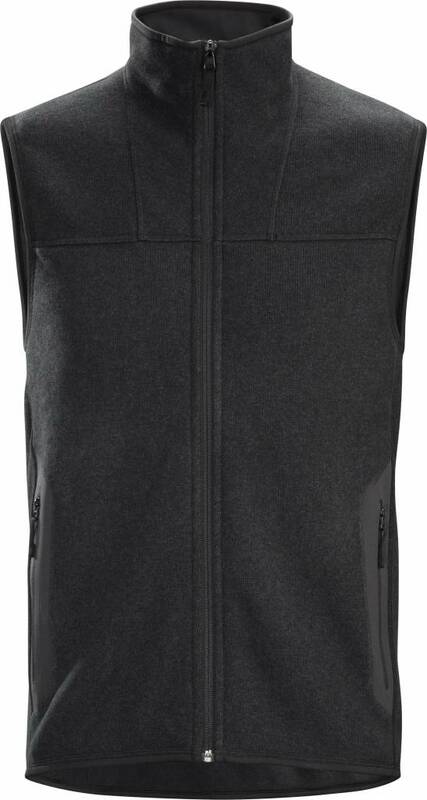 A performance fleece vest with a heathered, casual style, the Covert Vest blurs the distinction between alpine inspired performance and everyday living needs. Alpine inspired and highly functional, the vest has clean lines and a relaxed fit. Arc'teryx specifically developed Alpenex heathered fleece to create technical pieces with the elegant look of wool. The polyester fabric has a brushed back knit that is engineered to provide versatile warmth and comfort.